One of my reasons for taking this outing was to try and get a decent shot of these falls. I thought that it would be running well and would be quite photogenic, but some of the streams were blocked up and not running well. 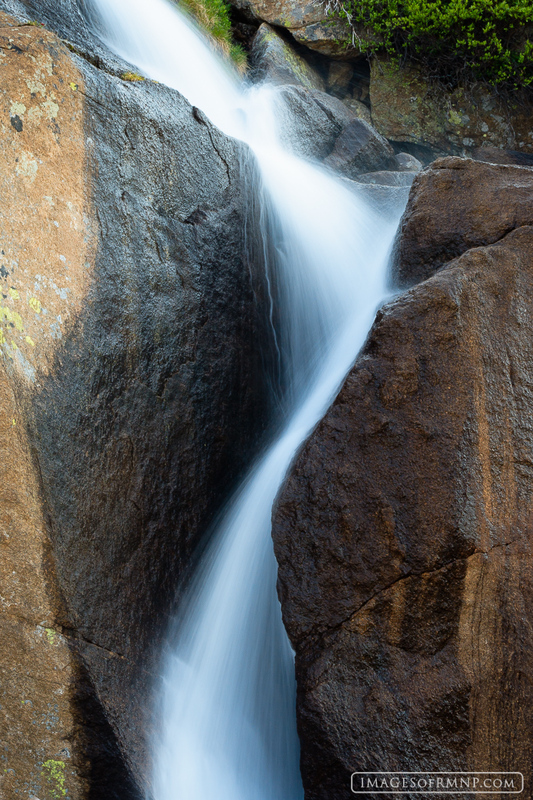 I have several images of it if you are really wanting something from here, but I like this one best as it shows one of the three streams as it twists through the rugged rock. Photo © copyright by Erik Stensland.